New Schedule & New Classes - Introducing "CCF FIT"! Winter is usually a slow period, not so much at CCF! The last few weeks our PM Classes have been pumping and the buzz has been amazing. To ensure that we always live up to our main philosophy of having the best Coaching Quality in combination with allowing our members the luxury of training at times that are as close to "perfect" for them as possible, we are now moving back to our Summer Schedule in Gardens - one month ahead of time! On top of that we are offering a new type of class for anyone that might find regular CrossFit intimidating, or is simply looking for a shorter version. Read further down about our new concept! Double Coached Classes at 17.00 & 18.00 in Gardens. Our double Coached Classes, where we offer the Big Dawgs program alongside the Dawgs program, are very popular and we love the fact that we can have our most experienced athletes alongside our athletes of any level including beginners straight out of the Basics Courses. The Double Coached classes will continue, but to ensure that both coaches can give personal attention to each athlete we are limiting it to 12 spots each for both Dawgs and Big Dawgs. (If you are booking a Dawgs spot as an Big Dawgs athlete you will do the Dawgs program). It does appear in the booking system as separate classes but as usual we will run it as a join class with separate coaching when the programming requires it. These are the only times we allow the Big Dawgs programming to be performed in class. Reason is that we want each coach to be able to focus on ONE program per class. 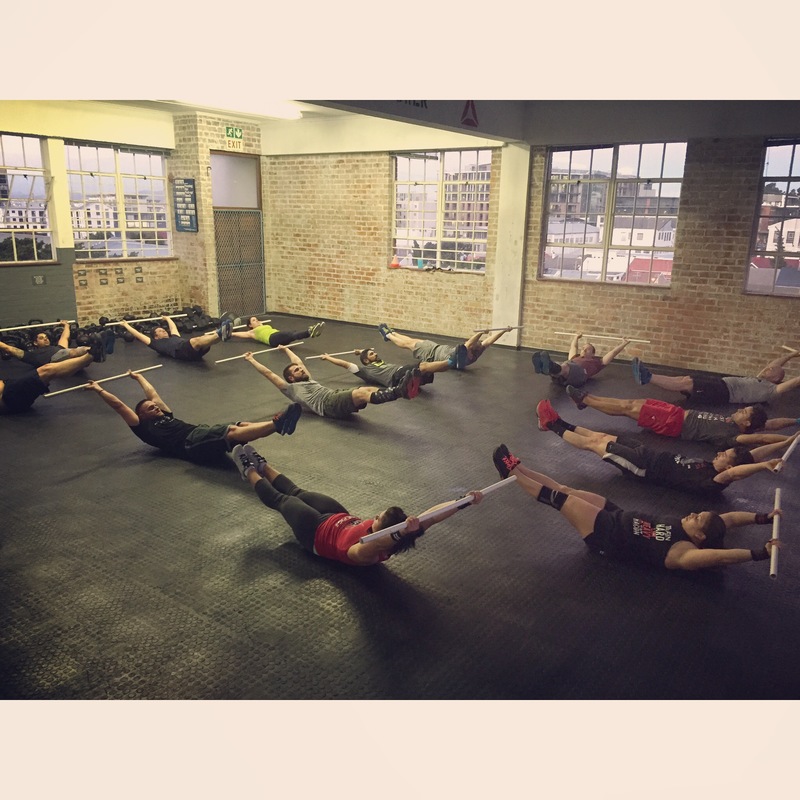 New Classes - Introducing: "CCF FIT"
CCF Fit Membership: R600 Monthly gives access to 3x30min classes per week. * The first two weeks (14th - 25th of September) will be FREE of charge and without any commitment needed! 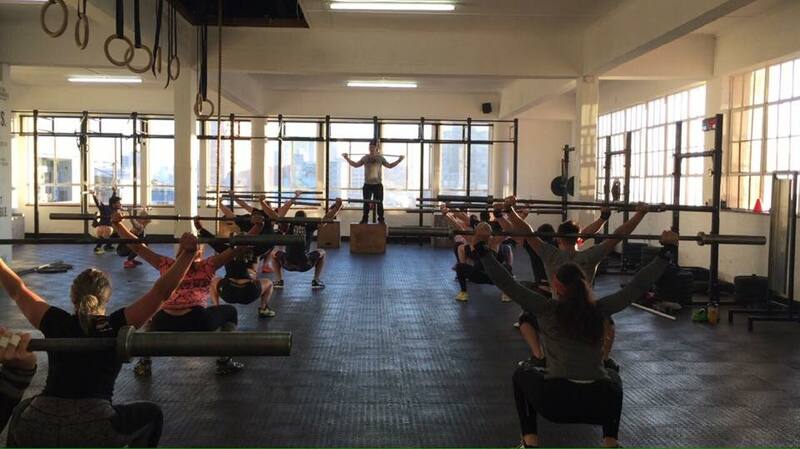 The concept of the CCF Fit classes is to focus on the bottom of the fitness pyramid: Metabolic Conditioning. These classes will exclude heavy weight lifting, there will be no advanced gymnastics such as Muscle Ups or Hand Stand Push Ups. Most of the time will be spent on perfecting your movement patterns with body weight movements such as Air Squats, Push Ups and Sit Ups in combination with light kettle bell swings, medicine ball movements and rowing for instance. These classes will be open to regular CCF Members as well, we do however believe that the classes are better directed towards beginners and/or people with any kind of limitations that stops them from wanting to take part in regular CrossFit classes - maybe you have friends and family that fits this model though? If so refer them to us and we will help them! CCF Barbell Club: Open to all members on Saturdays at CCF Gardens 7.30-9.00am. (The program is online and can obviously be done in the Open Gym at 10.30am as well!). Special 8 weeks Cycles available throughout the year. CCF Endurance Club: Special membership (R800/month) needed. 2 classes per week at CCF Gardens and a full weekly Endurance programming for Running/Multi Sport. CCF Saturday Gymnastic Focus: Our Saturday classes grow more and more popular each week. In Gardens we run a 90min class at 9.00am with a specific focus on gymnastic for the first half hour of each class! "The CCF Friday Night Bonfire"